Excellent choices for Texas vacation spots. Thinking about Texas weekend getaways but not sure what destination to choose? Check out these ideas for the best vacation in Texas. Texas is the largest of the lower 48 states. Wide open spaces, tumbleweed, cowboys, ranches and oil might come to mind when you think of the "Lone Star State", but there is more. Bordering Mexico, many parts of Texas have a Spanish feel evidenced by the many Tex-Mex restaurants, art and other cultural influences. Summer is hot. Spring and Fall are great times to visit with the wildflowers blooming in Spring and fairly warm temperatures through November. Winter can be cooler although on the Gulf coast you will find warm temperatures....in fact, many "snow birds" from the Midwest winter in Southern Texas. Below are some of the best weekend getaways in Texas and Texas getaway vacations to consider. Also, we would love for you to share with us your favorite Texas weekend getaways and vacation ideas! Dallas Vacation - This cosmopolitan city has many fabulous restaurants, museums and well-known shops. What a great destination for Texas weekend getaways and girls getaways with its fantastic shopping and restaurants! San Antonio Getaway - The flavor here is "Tex-Mex" and its famous for the Alamo and the beautiful riverwalk. If you are looking for romantic weekend getaways, this city should top the list. It's low-key atmosphere, beauty and interesting restaurants can't be beat! 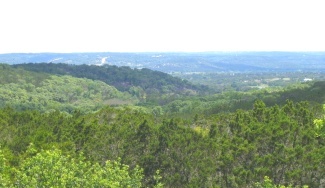 Hill Country Getaway - This beautiful area is a favorite Texas getaway. It features green rolling hills, lakes, rivers, charming towns and tons of sights to see and things to do. Check out the Texas Hill Country vacation rentals for the best accommodations. This German town has many lovely B&Bs and nearby sights to see making it perfect for girls getaways or romantic Texas weekend getaways. 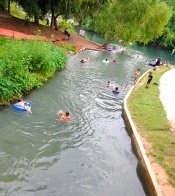 There are many outdoor activities around New Braunfels, including tubing on the Gruene River, so it is a good choice for a Texas family vacation. 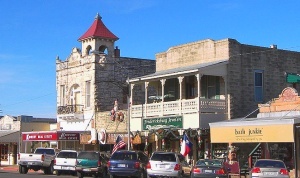 Be sure and check out the New Braunfels vacation rentals page. Austin, in beautiful Hill Country, is the Capitol of Texas. It is also home to the University of Texas, Blanton Museum of Art with over 13,000 works of art, the Mexic-Arte Museum, and the Lyndon Baines Johnson Presidential Library. The Zilker Park has trails, a nature center, a botanical garden with the Lady Bird Johnson Wildflower Center and Barton Springs pool. This "artsy town" is known for being one of the liveliest popular music scenes in the country. Bands can be heard at all different venues from supermarkets to record shops. East 6th Street is Austin's entertainment hub. With its young, "hip" feel this would be a great destination for a honeymoon getaway. For a romantic Austin getaway or a girlfriend weekend, splurge at the Lake Austin Spa Resort and you will be pampered in luxury. This resort offers facials, wraps, massages and more at their spa and many exercise classes, yoga, pilates plus delicious healthy dining. Hampton Inn Austin Arboretum Northwest is a good choice for a Texas family vacation with its indoor pool and free breakfast. This beautiful rental home has 2 bedrooms and 1 bedroom. It includes fireplace, pool, hot tub and wi-fi. Check out the reviews, details and availability. Here is a complete list of Austin vacation home rental options. This would be a great choice for Austin weddings, girls getaways, family vacations in Texas or a base to explore for Texas Hill Country vacations. For wide expanses of beach, sand dunes and the warmest weather in Texas....check out South Padre Island. The warm Gulf currents make this a great winter getaway to escape the cold of winter. Warning: Avoid Spring Break time when this becomes one big, crowded party for college kids. This great vacation rental on South Padre Island has 2 bedrooms, 2 bathrooms and sleeps 9. It has a lovely patio and outdoor dining. Check out reviews, photos and availability. If you are looking for South Padre vacation rentals, check out this huge list of South Padre rentals . Make sure and read the reviews and note the number of reviews. This is a great option for you "snow birds" wanting winter Texas beach vacations. A favorite with reasonable rates is the Palms Resort South Padre Island. It has the nostalgic charm of a beachside inn, "Cafe on the Beach" and a pool. If you are looking for luxury....check out the Peninsula Island Resort Hotel, with beautiful suites, spa, five star restaurant, and pool with swim up bar. What is YOUR favorite Texas Getaway? What do you consider to be the best Texas getaway? Maybe you discovered it on a weekend getaway, girls weekend or Texas vacation. Please share it here....we would love to hear about it! Enjoy Texas Weekend Getaways in one of these interesting destinations. Make sure and check out my separate pages for a Dallas Vacation and a San Antonio Getaway!